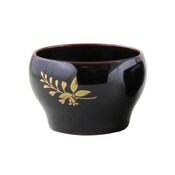 A large sake cup made using natural wood and lacquer. Feels smooth on the lips and fits perfectly in the hand. 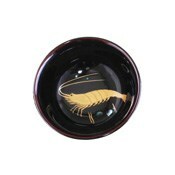 Lacquerware produced in Wajima, Ishikawa on Noto Peninsula. 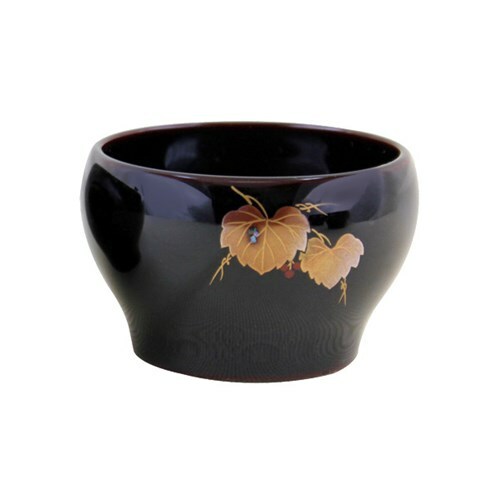 It's said the oldest existing lacquerware is about 500 years old. 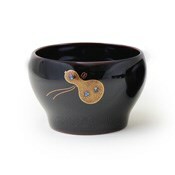 It's assumed that lacquerware had been produced there much earlier according to excavated fragments. Traditional craftsmen's techniques handed down over generations are applied to create an unparalleled craftwork that is both artistically beautiful and practically solid. 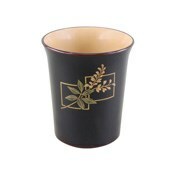 Made using a firm lacquer base which is hardly used in other regions. Baked diatomite is mixed with lacquer and varnished as a base layer over a wood base. As particles of diatomite have numerous minute pores, it absorbs lacquer well and makes the mixture stickier and more chemically stable. In the middle ages, Wajima was counted as one of the 10 greatest ports in Japan and was called “Oyanominato”. The port city absorbed woodturners from the surrounding area, and manufacturing and selling were divided to develop the lacquerware industry. Since full-fledged makie decoration techniques were introduced there in modern times, it has been a prominent center of lacquering and decoration. 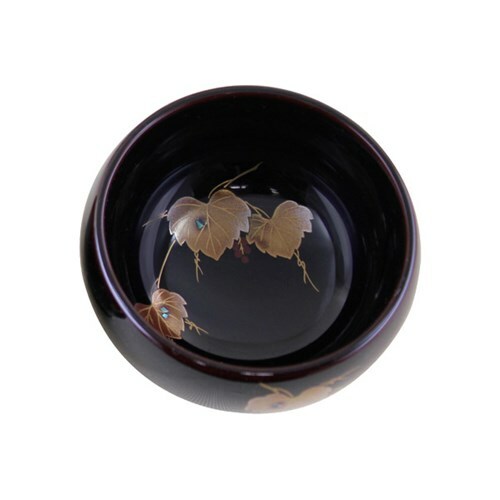 Wajima lacquerware is the only lacquerware designated as an important cultural asset, and people have been striving to pass on and develop its manufacturing techniques. In order to use Wajima lacquerware safely & comfortably,​ please make sure to check the following instructions. 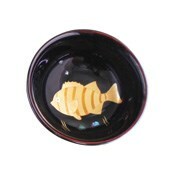 *Please keep to the original usage and purpose of Wajima lacquerware,​ wooden utensils made using natural lacquer. *Lacquer may cause a skin rash depending on the user's constitution. Should there be a skin rash,​ immediately consult a doctor and follow their instructions. *Do not heat over an open flame,​ in a microwave,​ in an oven,​ etc. Please don’t leave mirror,​ etc in direct sunlight. It may result in a fire. *Please refrain from exposing it to ultraviolet rays,​ direct sunlight,​ extremely high temperature and humidity for a long time. Its shape and color may change or mold may grow on it. *If it is broken,​ chipped or cracked,​ please refrain from using. It may cause further damage and makes it impossible to repair. *Lacquer becomes gradually more durable as years go by. Lacquer has a life of its own. *Please don't soak in water for a long time. After use,​ wash as quickly as possible,​ wipe moisture away with a soft cloth,​ and then wipe again with another dry cloth to keep it for a long time. *Don’t use a scrubber,​ polishing powder,​ dish washer,​ drier,​ etc. *If you drop it or hit it hard,​ it may get scratched or cracked. *Don't use chemically treated cloth. It may take the gloss off. *Should there be no stock,​ item manufacture will take place after order placement. *Depending on the item,​ delivery may be delayed. Contact customer service regarding the delivery date.